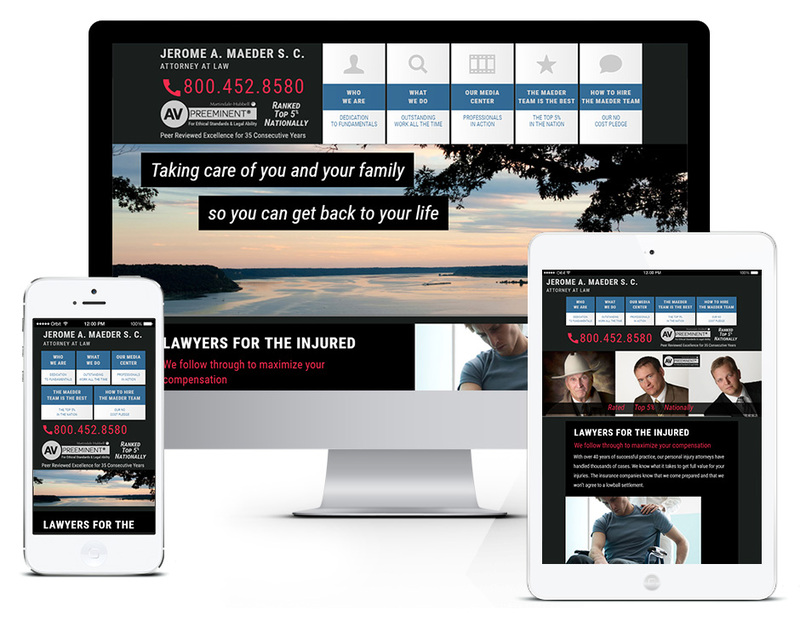 Maeder Law was in need of a website redesign that allowed for content management by staff as well as a responsive smartphone and tablet friendly design. It was important to showcase the ratings and accolades as well as what sets Maeder Law apart from other personal injury and accident lawyers. The design itself was of integral importance as Maeder Law is not like other law firms and did not want a website like other law firms. SEO (search engine optimization) and an informative site with a clear call to action were also important factors for this website. IPSSolutions.com was able to deliver a website that met all of these needs.